FOR SALE WITH NO ONWARD CHAIN OFF STREET PARKING & GARAGE CLOSE PROXIMITY TO BEACON RISE PRIMARY SCHOOL. 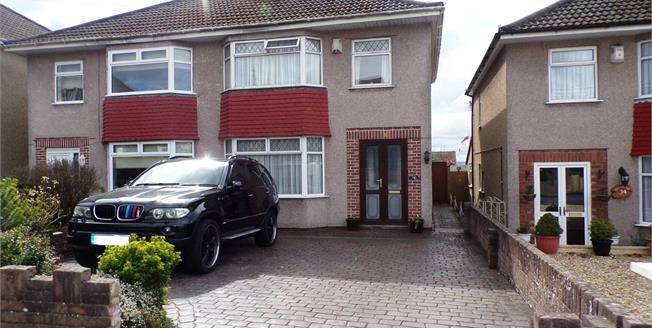 The accommodation of this three bedroom semi-detached home comprises of; entrance hall, through lounge diner perfect for entertaining guests and kitchen. To the first floor are three bedrooms and family bathroom. To the outside a larger than average mature garden. Sure to be a popular choice, ARRANGE YOUR VIEWING NOW. UPVC back double glazed door. Double glazed uPVC window facing the rear. Radiator, tiled flooring. Roll edge work surface, fitted units, double sink, space for oven, space for hob. Wooden front . Radiator, vinyl flooring, under stair storage. Double glazed uPVC window with obscure glass facing the side. Carpeted flooring. Double glazed uPVC window with obscure glass facing the rear. Heated towel rail, vinyl flooring. Low level WC, roll top bath with mixer tap, shower over bath, pedestal sink with mixer tap.